A double-blind placebo controlled study included 24 young health men who consumed either a fish oil supplement (600 mg EPA and 260 mg DHA) or a placebo for eight weeks prior to the exercise. After 8 weeks of supplementation, the men performed 5 sets of 6 maximal eccentric elbow flexion exercises (described in the paper’s study methods), followed by an additional 5 days of supplementation. Following maximal eccentric elbow flexion exercises, men supplementing with EPA and DHA omega-3s experienced significant increases to maximal voluntary contraction (MVC) and range of motion (ROM) compared to a placebo group. At 2–5 days after exercise, MVC was found to be significantly higher in the omega-3 group than the placebo group, and at 1–5 days after exercise, ROM was also significantly higher in the omega-3 group than the placebo group. 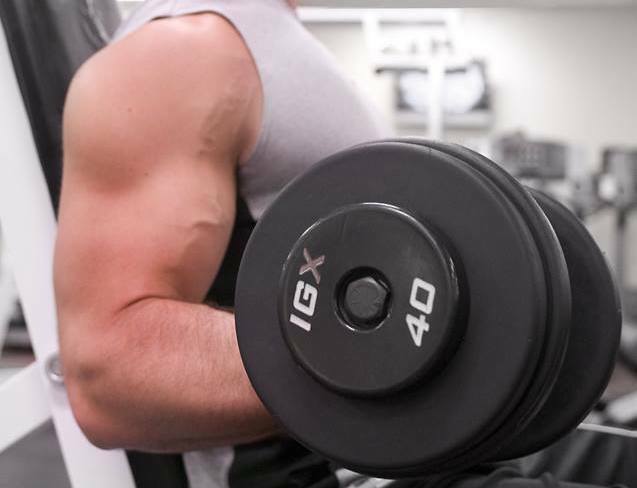 Muscle soreness of the brachialis was also found to be significantly greater in the placebo group than the EPA group at 3 days after exercise only, suggesting the EPA and DHA diminished the level of muscle soreness. This study showed that 8 weeks of fish oil supplementation reduced the level of muscle soreness and strength loss, and improved range of motion after exercise.